casper@casperland.net 14OA227 / 14FRS1343 PMR Selon Dispo. 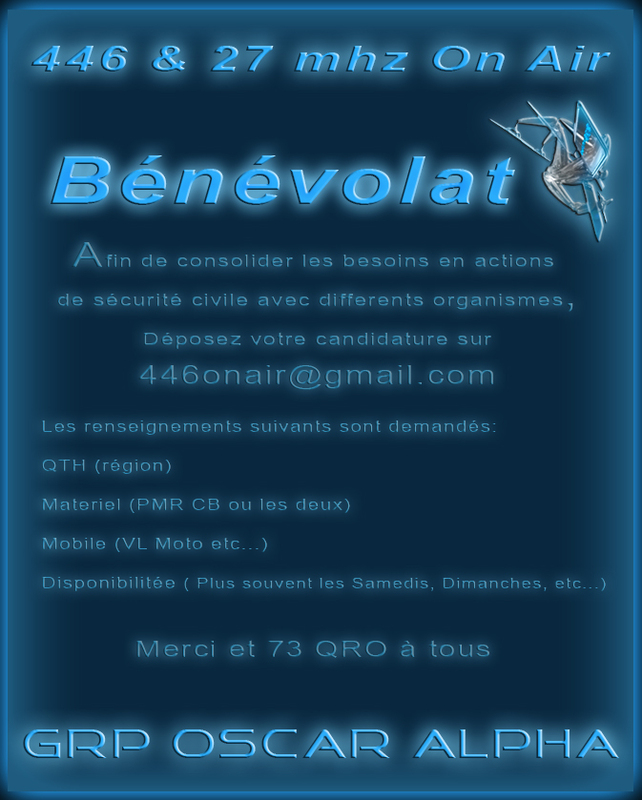 neomagix@hotmail.com 14OA228 / 14FRS768 PMR & CB Selon Dispo. Dep 59 / Denain David gaillardon david.gaillarbon@neuf.fr 14OA371 ? Dep 93 / Saint Denis Jonathan Pinchon pjfr@voila.fr 14OA226 PMR & CB Selon Dispo.